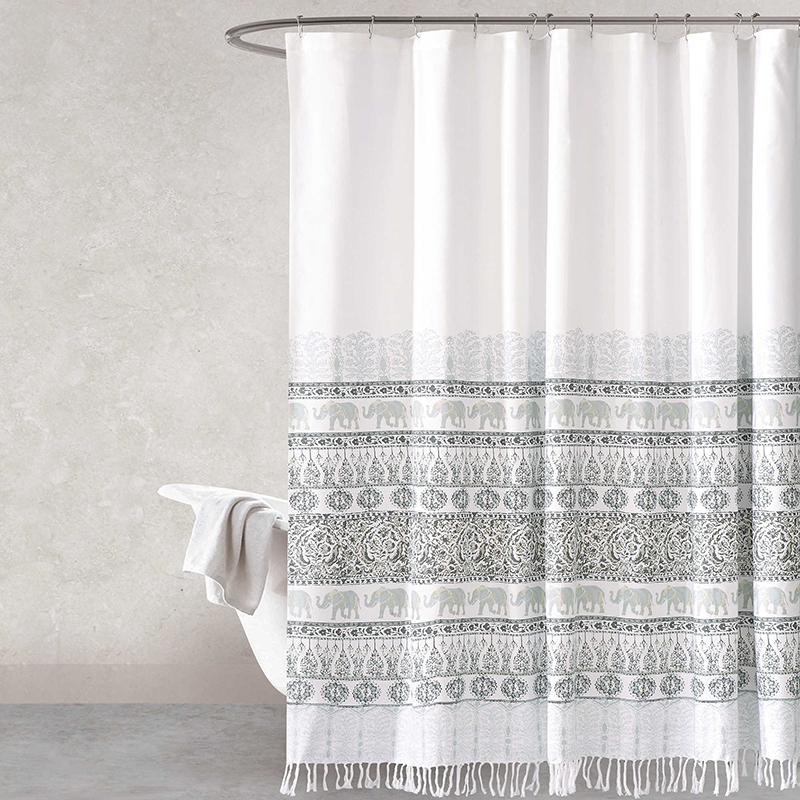 Bring out your chic or hippie side into your bathroom by adding these beautiful shower curtains. Are you sick and tired of seeing a boring bathroom every single day? After all, it is just a bathroom, right? It is not some space that you should give a lot of effort and time with. Yeah, you think so? Think again. This time, think of how much time you spend in your bathroom. (I sure spend some time in mine. Mostly because that is where I get to think without getting bothered.) How much is it used when you have visitors, family, and friends over? How much your little ones (if you have) stayed in there to do their business, may it be potty, pee time or their most favorite thing to do, bath time? See, the bathroom is not something you just overlook because you and your family get to use it more often than you thought you do. You have to maintain its cleanliness and the atmosphere that you want it to have. Like making it more relaxing and interesting at the same time. If you are the kind of person who wants to make your bathroom pop in the easiest and convenient way possible without spending too much, this list is right for you. You do not have to commit to any long-term design like painting or redo your entire space just to achieve that spa-like ambiance we all desire to have in our bathroom. All you need to do is to give it a little time and maybe spend a little money too or you can even do it yourself if you have the tools and skills to do so. 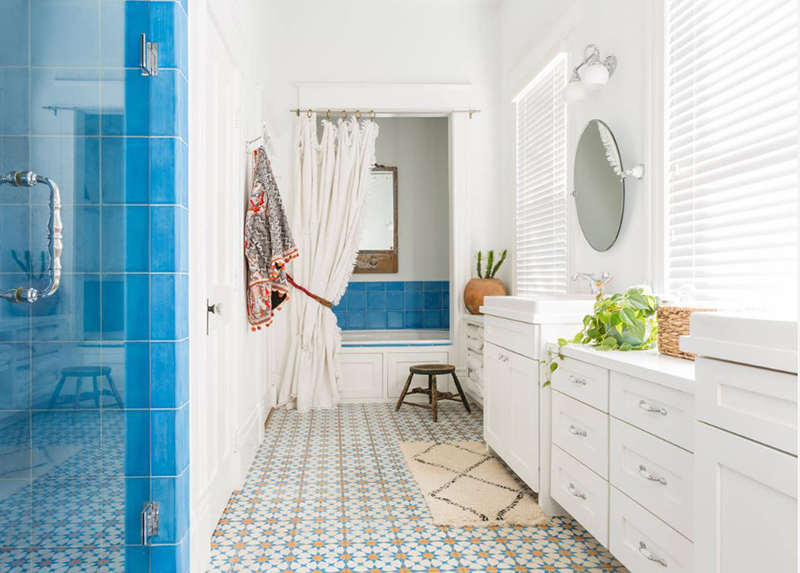 Let me assure you that what you are about to see will give your bathroom an instant makeover with a global-inspired or eclectic look that is trendy and chic. Are you excited to know more about it? Keep reading to see these beautiful 20 Stylish Bohemian Shower Curtains I rounded up to get you started. 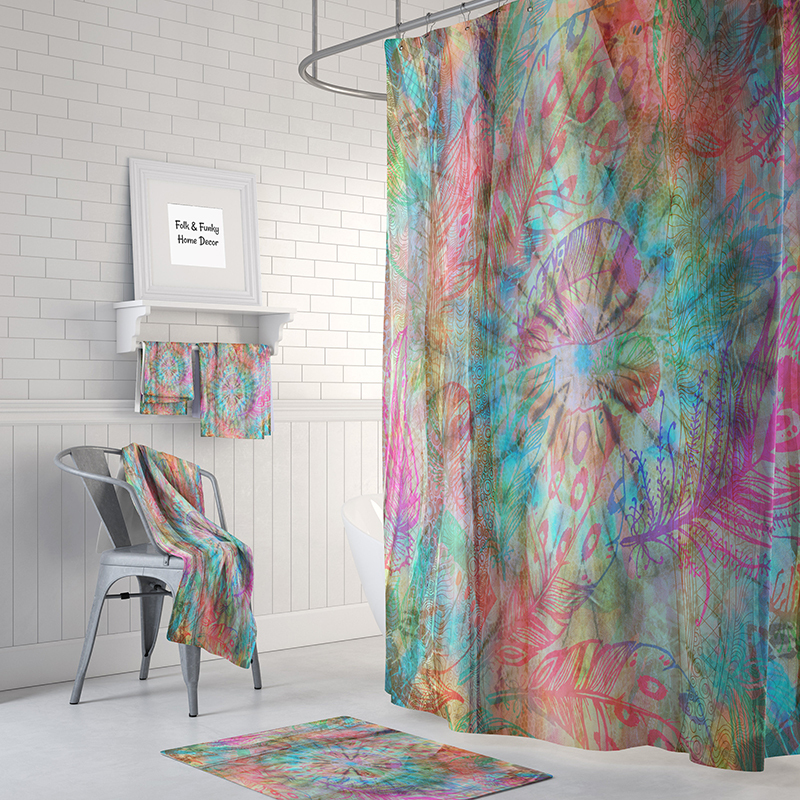 Let the hippie in you take over and make this colorful shower curtain take the spotlight in your bathroom. Its lovely colors would look absolutely beautiful in a neutral space, and the over-sized feather pattern is perfect to add interest and texture to your bathroom. 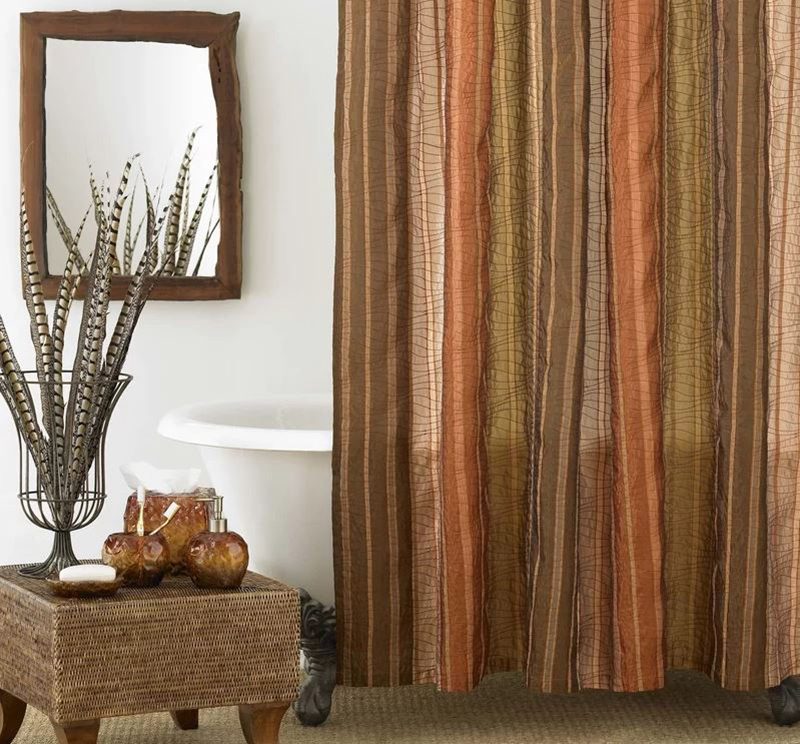 This copper shower curtain is a great addition to your tropical-inspired bohemian bathroom. Boho look speaks about nature and how stunning it is like this beautiful curtain with nothing but beautiful, rich earth colors. Its elegant hues would take any bathroom designs a notch and its wave-like pattern and stripes are sure to add texture and punch to any space. Add a chic bohemian vibe with this shower curtain adorned with black pompoms on top creating a great and fun contrast against its white base. This edgy accent will look wonderful in any bathroom interiors. 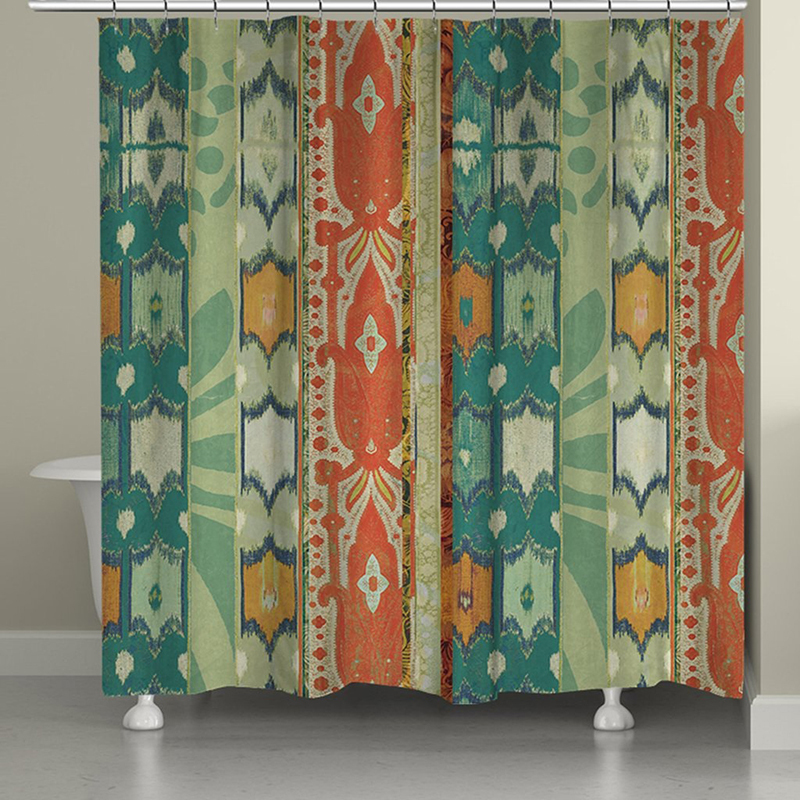 If you are looking for a bold punch in your bathroom, go for this ikat-inspired shower curtain. It has unique and playful patterns with charming soft colors that speak bohemian in every sense. Another curtain that showcases an elegant eclectic look and exciting patterns and colors guaranteed to brighten and give that bohemian vibe to any bathroom space. I love how this white crisp curtain exudes sophistication. It has cascading ruffle border that add the right amount of texture, style, and fun to any space. This would look great if you want to achieve a white-on-white space with a romantic hippie touch. Create an instant bohemian-feel straight from the 70’s in your bathroom with this beautiful vintage shower curtain with gorgeous crocheted hammock valance and soft tassels in different heights. This will look fab either on a white interior or as a contrast to a much darker color scheme bathroom. The usage of plants and other natural elements as decor in a bohemian space is a must. 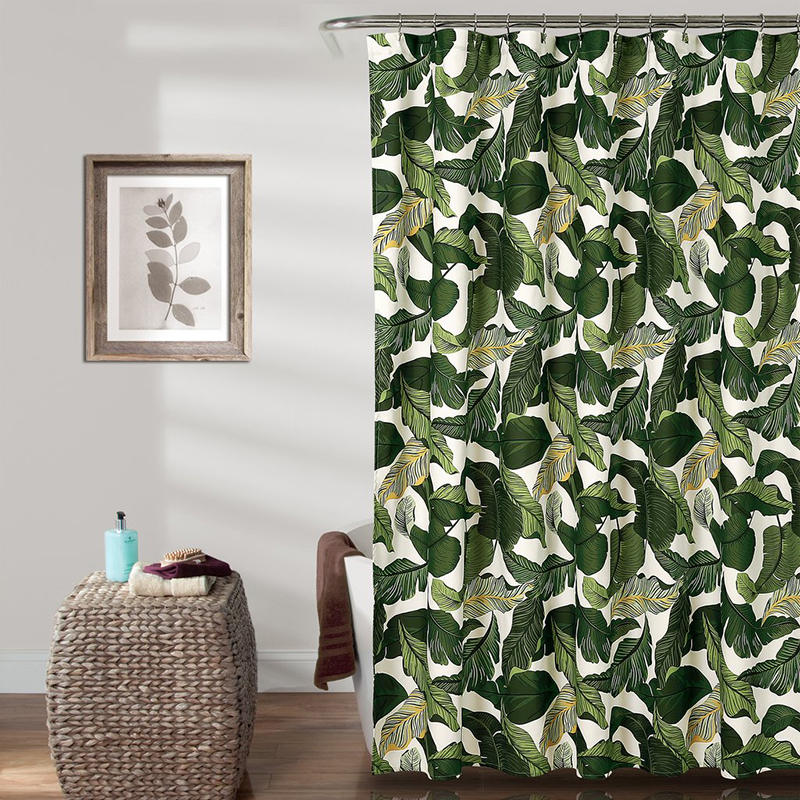 If you are not into adding real plants to your bathroom space, then this tropical-inspired shower curtain is the right fit for you. This will instantly create a boho vibe that lavish greenery brings. 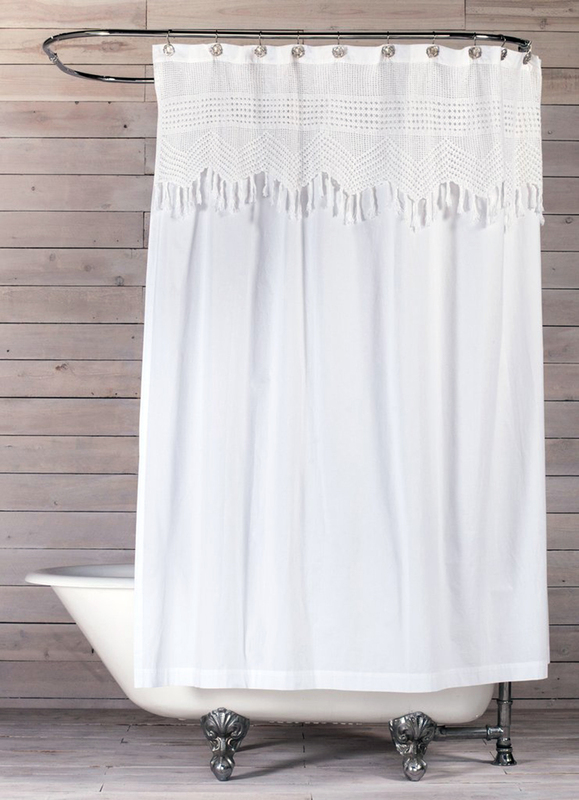 Create a relaxing yet stylish bathroom with this charming shower curtain. Its exotic pattern of medallions and elephants with an exciting bottom fringe give gorgeous contrast and an instant bohemian makeover. 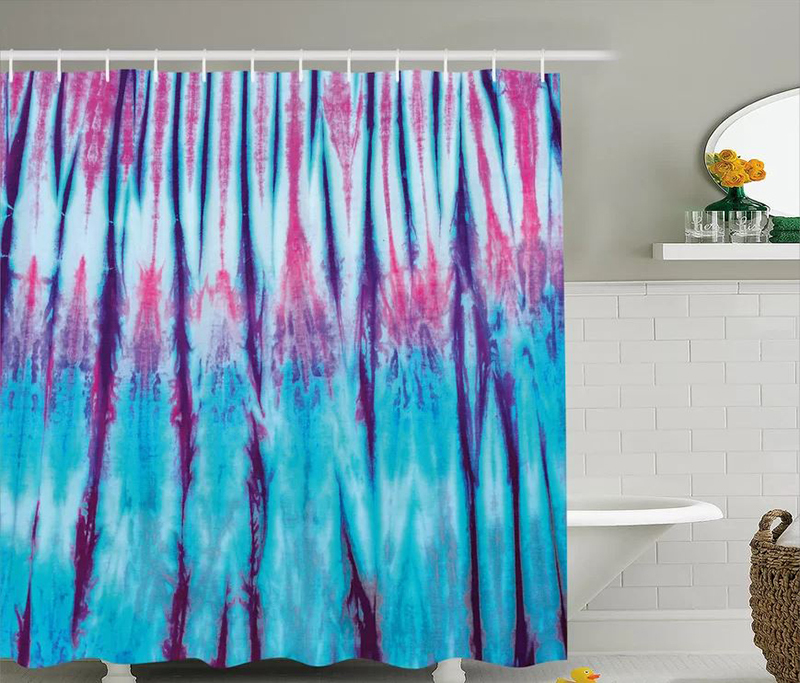 A nod to the hippies of the 60’s and 70’s, this beautiful tie-dyed shower curtain would give you that instant pop of hippie vibe in your space. This is a great choice if you wanted to go bold in your bathroom but was just unsure. I love how this shower curtain looks so dainty and sweet. It is full of beautiful texture that you can see in most boho spaces. This will lend a chic and romantic look in any bathroom. If you are one with the skills and have a sense of creativity this shower curtain will inspire you. I am sure you would love to know where to get that gorgeous shower curtain you see that is so stylish with lots of texture that boho spaces crave. All right, I will tell you. It is a repurposed chenille bedspread, lovely isn’t it? Choose an intriguing accent like this shower curtain to take your bathroom up to a different level. Rows of delicate flower petal ruffles adorn the top creating a charming look. 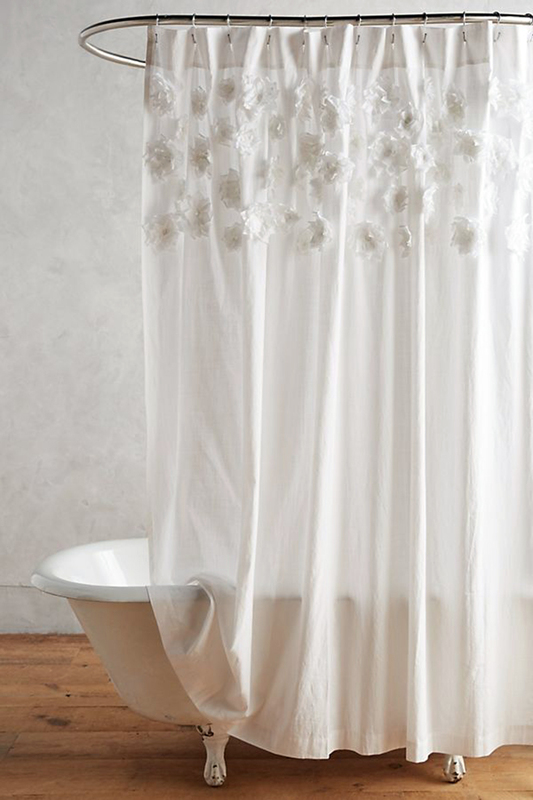 This shower curtain would give an elegant, romantic bohemian touch that is refined and relaxing in any space. 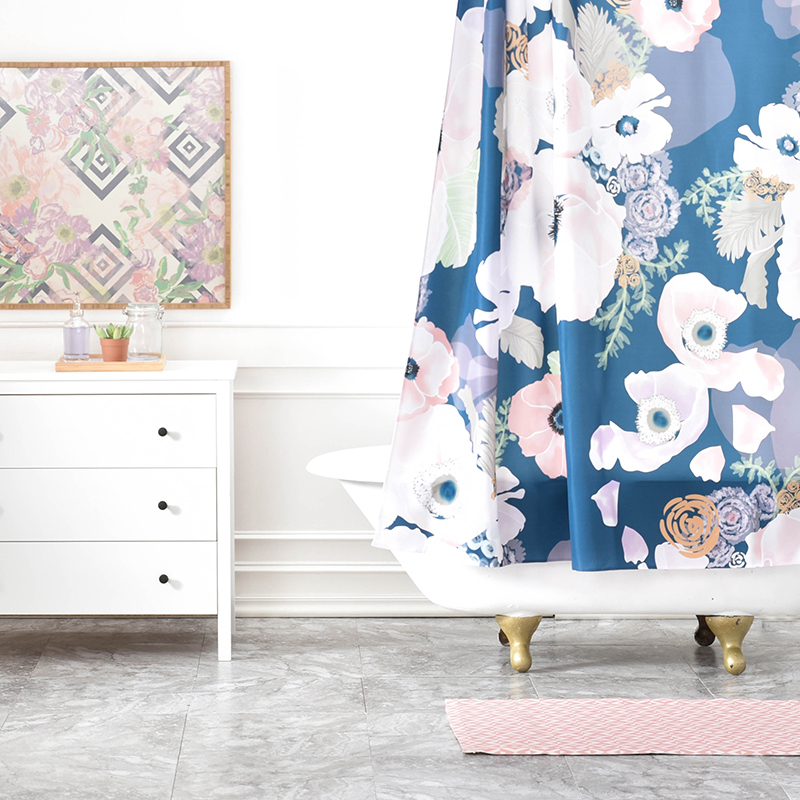 Give your bathroom a modern bohemian vibe with this stunning shower curtain from Lauren Conrad. Its soft cool hue is sure to liven any space and its beautiful ruffles offer character and a fun texture that adds sophistication to its simplicity. 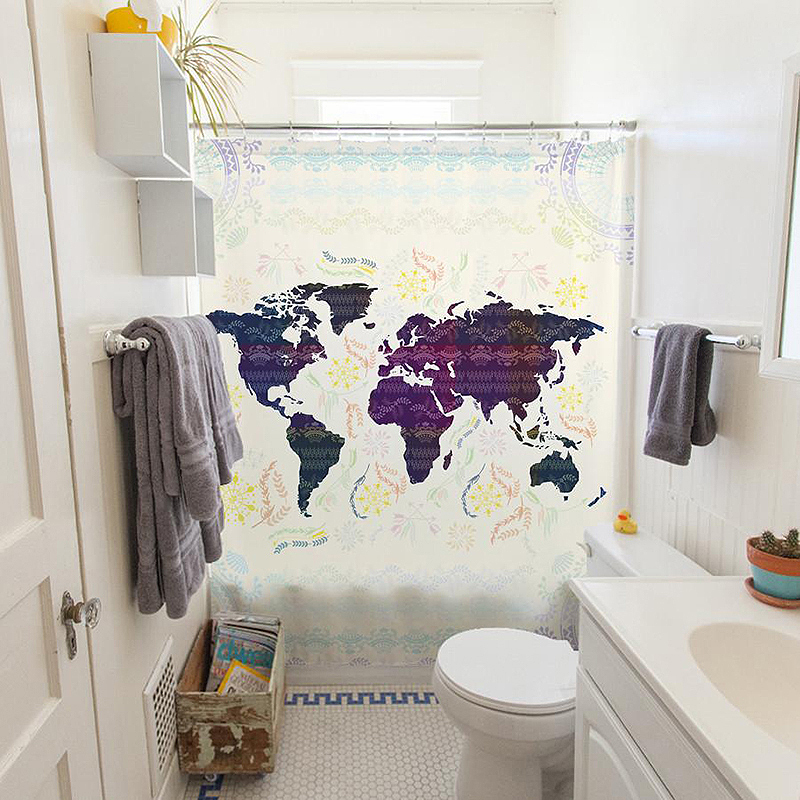 For those who love everything about oceans and seas this shower curtain is for you. 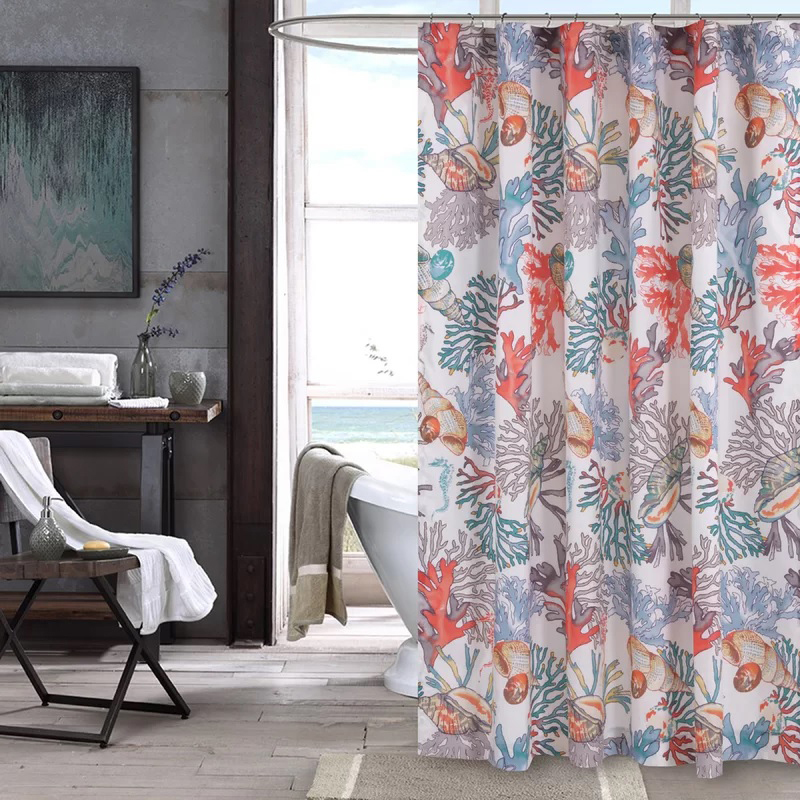 This coastal-inspired shower curtain will give an ocean botanical sanctuary in your bathroom. Its soft colors offer tasteful contrasts while its playful graphic pattern brings interest and character to the whole space. Bohemian style is big in travels and adventure and a chic map shower curtain is a great way to bring that boho vibe to your bathroom. It will give your space an eclectic vibe that is both unexpected and strikingly interesting. 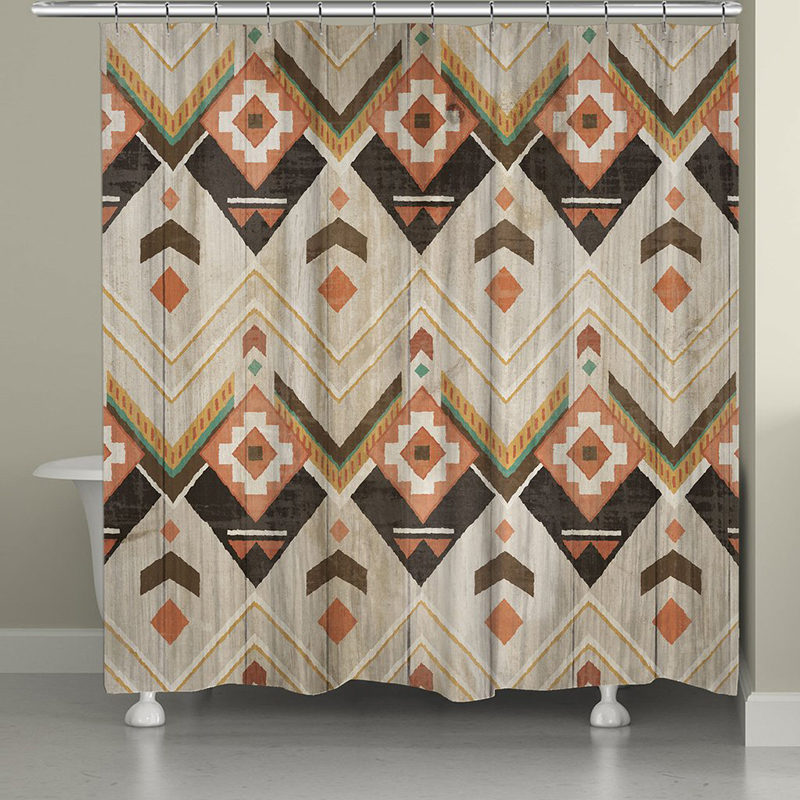 This enchanting shower curtain with a southwestern pattern on a wooden background offers a bold bohemian accent to any bathroom space. Its soft color palette and beautiful contrasting details guaranteed to give your space whimsy that all boho spaces exude. If you want to give your space a feminine bohemian vibe in an instant, look no further. This shower curtain with ornate embroidery and classical cotton lace in a soft aqua shade will give you that bohemian makeover in no time. Give a fresh and edgy look to your bathroom space with this fun and funky bohemian shower curtain. 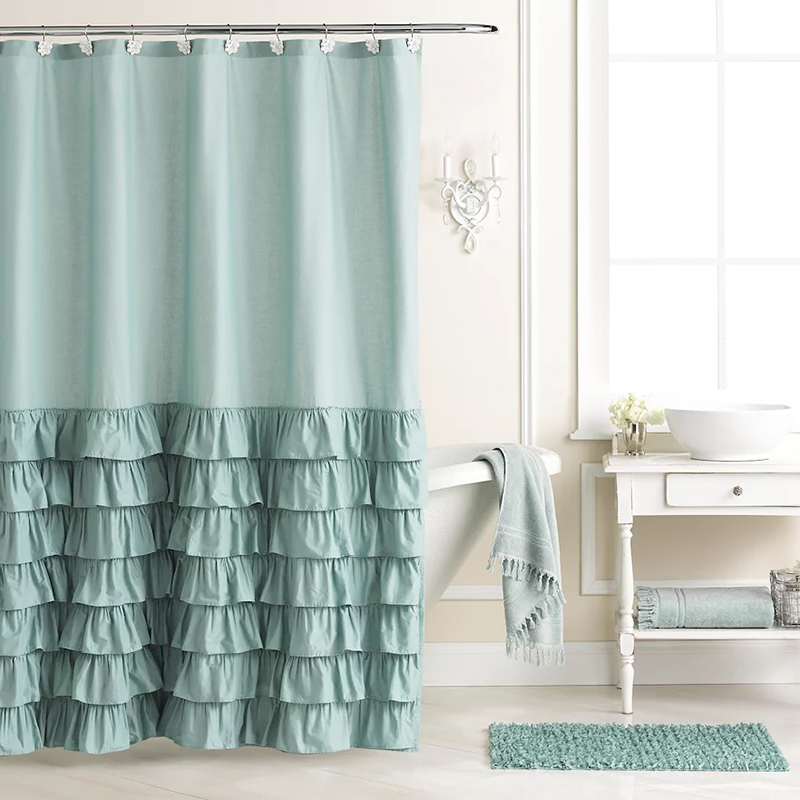 Its ruffled-tier from top to bottom would be a great fit for any bathroom space that needs style and texture. Create a relaxing and dainty bohemian space in your bathroom with this delicate yet bold shower curtain in a feminine soft shades of pink, lavender and cream blooms on a soothing muted blue base. 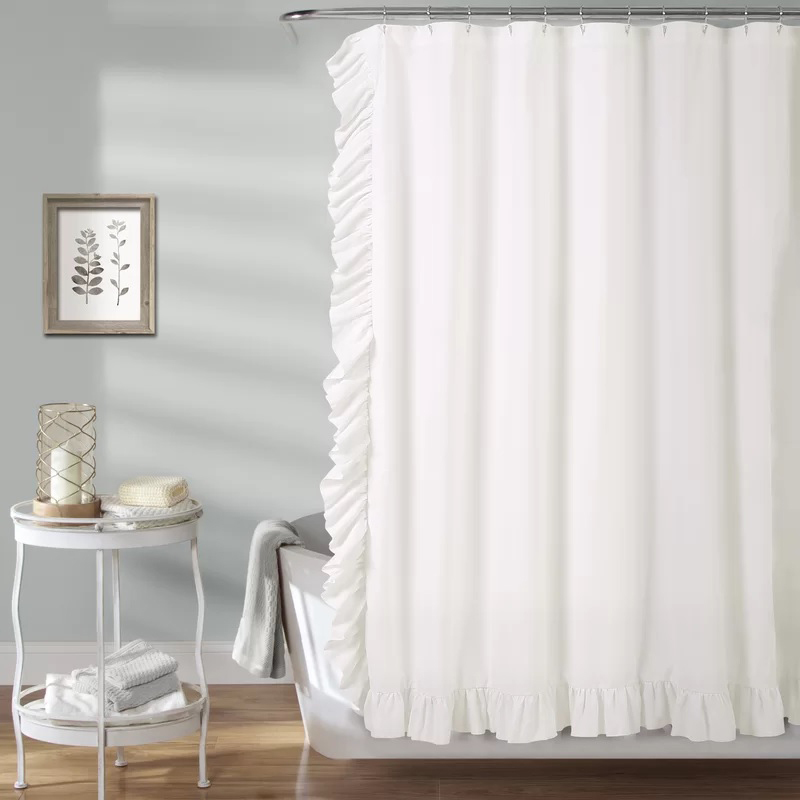 This shower curtain will look stunning in light color schemes spaces. 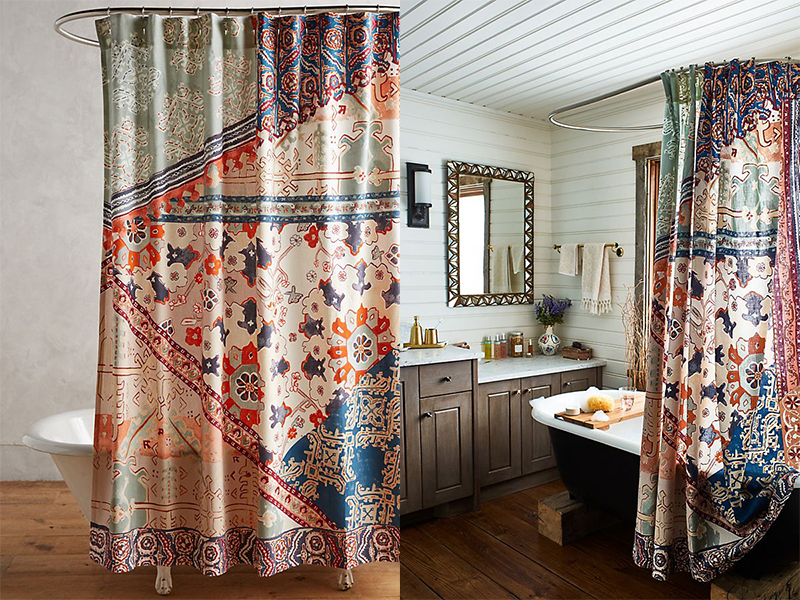 Choosing a bohemian shower curtain to take the center stage in your bathroom space is one of the most stylish and trendiest ways to go if you are afraid to commit on any long-term changes in your home. You can change anytime you change your mood or would like to achieve a different look. This global look that could be edgy and chic will give your space the unique flair in an instant. It could change the whole vibe into a fun, chill yet inviting atmosphere. The colors we have showcased today are mostly muted and soft but with great contrast and very interesting patterns that could lift a dull mood. I hope I was able to ignite your enthusiasm to look into this beautiful eclectic style. These incredible bohemian shower curtain designs would look more boho than it already is if you incorporate plants into your space. More plants in different heights would not only add charm but it would also clean the air you breathe. Let me know which of those beauties in the list would you most likely use. I would love to hear from you.